Hello and Happy Tuesday! My Monday was so loooooong! I thought it would never end! I was not exactly full of inspiration after a 12 hour day. Alas, I had a design team project due so I had to make something for this week's Stamp, Ink, Paper Challenge! For my card I used a couple of different sets. The background stitched rectangle is the Marbled Turnabout from Concord & 9th. 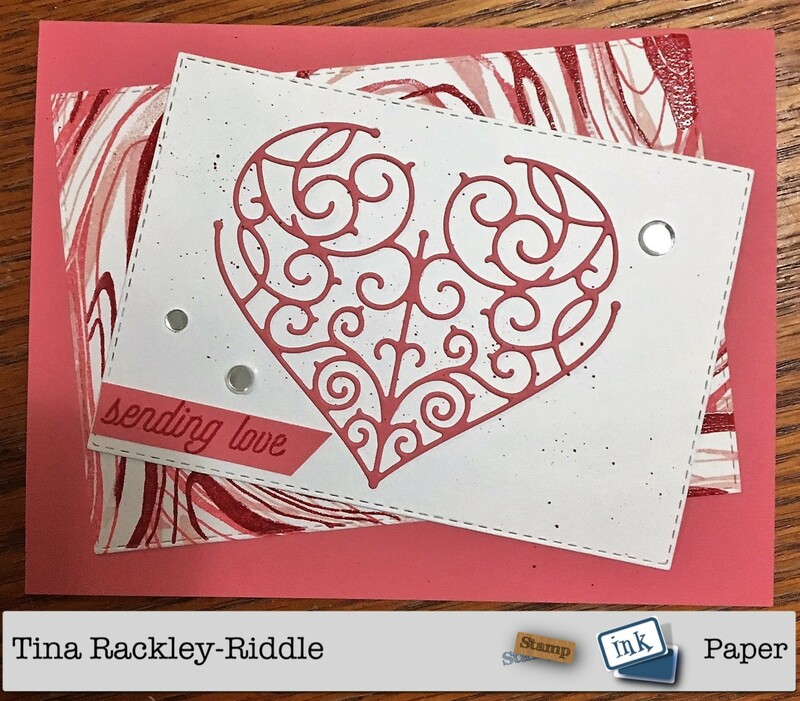 The heart die cut is from Hero Arts January 2018 My Monthly Hero Kit. I love those kits because if you need a card really quick there is usually one I can pull out to put something together. 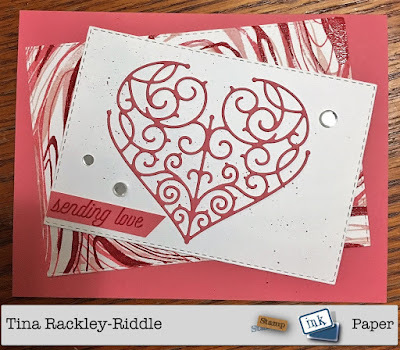 The card base was Stampin' Up! Flirty Flamingo. The marbled layer was stamped with Flirty Flamingo, Blushing Bride, Powder Pink, and Primrose Petals (retired). I also added a layer of versamark to the Primrose Petals turnabout so that I could clear emboss it. It looks really cool in person. The white stitched rectangle is Whisper White Cardstock. The heart from the Hero Arts January 2018 kit was cut in Flirty Flamingo. The sentiment was stamped on Flirty Flamingo with Primrose Petals and then clear embossed. I added three PPP Clear Sparkling Confetti and added a few splatters with a Primrose Petals Marker to finish it off. Although I threw this one together really quickly I do like how it turned out. Tina, this card is fabulous even after a long day! 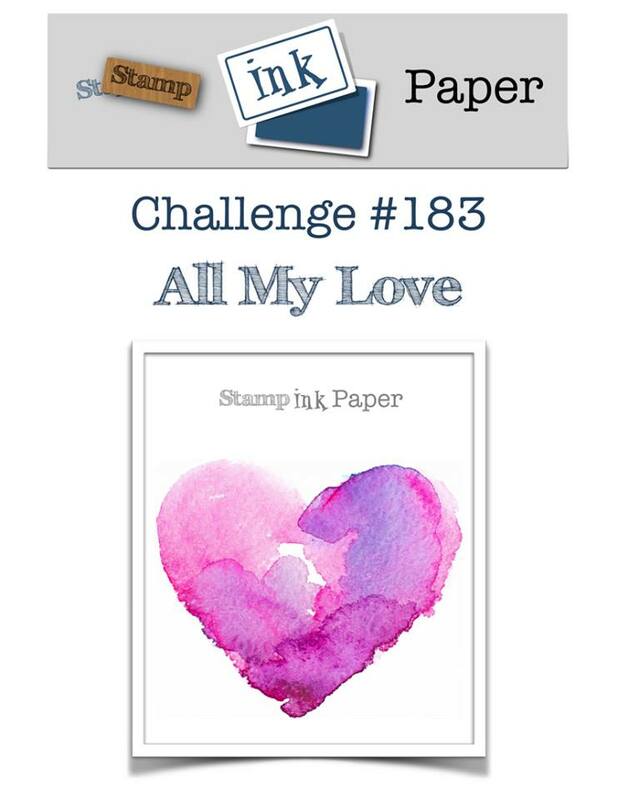 That background stamp really looks like your drizzled paint it is so pretty. Beautiful combination.